"Look carefully at the careers of the boys and girls who were raised in the Old Marine Hospital on Franklin Street, Charleston [Jenkins Orphanage]. I am convinced you will be surprised... there is a Charleston contribution to the arts of America that traditional views on jazz, and other music, have overlooked." 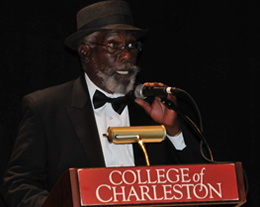 The Charleston Jazz Initiative (CJI) is a multi-year research project that documents the African American jazz tradition in Charleston, the South Carolina Lowcountry, and its diasporic movement throughout the United States and Europe between the late 19th century through today. And Legacy of Jack McCray.